Ukraine’s relationship with Russia has been a fraught one in recent years, not least since the Putin regime annexed a great chunk of Ukrainian territory in the Crimea. But it seems this tension hasn’t stop Ukrainian politicians from taking tips from their Russian counterparts. At least that certainly seems to be the case when it comes to online surveillance and censorship. Yet, ironically, the motivation behind the latest proposals is to try and block banned Russian websites and online services. Towards the end of February, the Ukrainian National Commission for the State Regulation of Communications and Informatization [NCCIR] adopted a new resolution. This resolution [in Ukrainian] proposed giving Ukrainian ISPs the power to block Russian sites which have been declared illegal in Russia using their domain names and IP Addresses. However, Ukrainian NGOs, such as the Internet Association of Ukraine have expressed misgivings about the proposals because the potential scope of them is wider than it needs to be. Oleksandr Fediyenko, who is the head of the Internet Association of Ukraine has argued that blocking IP Address could end up censoring several resources that originate from that address when only one is actually considered illegal. This, he argues would bring Ukraine significantly closer to the current situation in Russia where the Government has the power to block “the entire Internet”. It certainly does seem like an excessive proposal and to be, in effect, granting a sledgehammer to crack a nut. But the likely reason it is being put forward is that this is one of the cheapest ways to go about blocking internet content. But of course, it omits any consideration of the unnecessary censorship it might result in. This is not the only section of the draft resolution which has concerned campaigners. Another is the new internet surveillance technology it has proposed that the Ukrainian regulators and security services should be granted to enforce the new censorship regime. The proposals suggest giving the State Commission on Communications and the Ukrainian Security Service [SBU] UAH 3.5 million (around $130,000) to install special equipment which would allow them to check if Ukrainian ISPs were indeed blocked the sites they were required to. This is not a huge sum of money of course, but the concern is the wider use this special equipment could be put to. A group of fifteen prominent Ukrainian NGOs [in Ukrainian] have raised concerns that it could be used for illegal surveillance of the internet habits of innocent Ukrainian citizens. 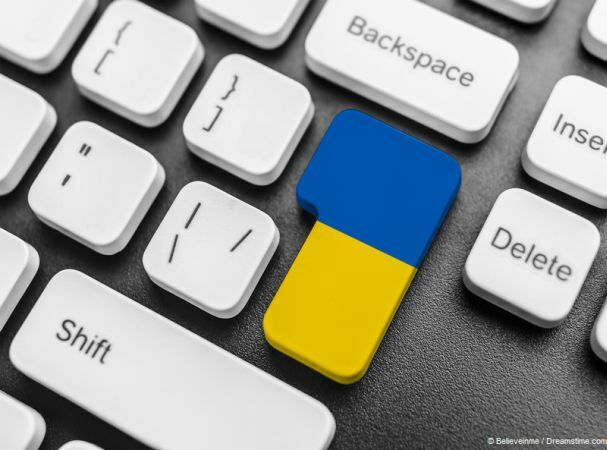 They again suggest that this proposal risks moving the online situation in Ukraine closer to that of neighbouring Russia, where the state can surveil the online activities of any member of public as well as censor content and essentially control the flow of online information. This whole situation has arisen because of a Presidential decree handed down by Ukrainian President Petro Poroshenko more than nine months ago. In it, he ordered the blocking of a number of Russian websites including some of the most popular Russian language social media sites. Sites to be blocked include VKontakte, Odnoklassniki, Yandex, Mail.ru and a number of other Russian web services and some TV channels. However, he did not give any details as to how this should be done. As a result, both industry and regulators have been working on solutions ever since. In a sense, it is understandable why the Ukrainian President has chosen to take this stance. Many of these sites are teeming with anti-Ukrainian propaganda being circulated by the Putin regime in Russia with the overall aim of destabilising the anti-Russian government in Ukraine. However, critics have warned that such content is not just restricted to these Russian-based sites and so blocking them will simply shift the problem elsewhere rather than tackle it head-on. But perhaps most importantly is how ineffective such censorship efforts tend to be in this day and age anyway. Internet users who want to access censored content only have to sign up to a VPN and connect to a server outside of Ukraine to access all of these websites freely. The only way states have found to try and counter this is to implement an outright ban on VPNs, but even Russia has tried and failed at this. The likelihood of a government like Ukraine’s choosing to try and do so and follow Russia even further down the road towards total state online censorship seems highly unlikely. Almost all of the prominent VPNs, such as IPVanish and ExpressVPN are available in Ukraine and like most other places in the world, VPN use is on the rise there. So, no matter how the Ukrainian government ultimately decides to try and tackle the threat of Russian propaganda in Ukraine, those citizens who want to will always be able to use a VPN to circumvent any online censorship methods that might be used.